Throughout the years, we realize the importance of improving and enhancing our products, with customer satisfaction in mind. Which is why, this year, we have decided to go green by introducing our new lineup of Eco-Friendly Yoga mats which have many improvements and benefits. Below are the detailed explanation on our new mats. What is an Eco-Friendly mat? Our lineup of the Eco-Friendly mats are made of materials which does not harm our environment or you, in terms of toxic contents. How is this possible? 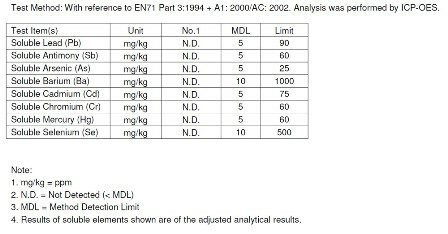 Since no harmful material is added during production of the Eco Mats, therefore any factory output is free from toxic content as well. Conventional yoga mats are made of materials which contains high level of potentially harmful metal such as lead.The Eco mats have been developed and tested with proven results of no toxic materials or phthalate present. As you are constantly in contact with a Yoga or exercise mat during your workout, it is important to know what your body is in contact with. The Eco mats are according to US safety standards and contains no harmful chemicals, which means you can have a peace of mind during your workout. Be assured of the safety and quality standards and the new Eco-Mats are also better in terms of durability and firmness.Best of all, no more slipping during your workout as the Eco-Mats have excellent traction/grip.The Eco-Mats are also easily recyclable and degradable as well which safeguards our future environment.Overall, the quality is certainly higher level above others. How do I know these mats are as they said to be? What are the mats made of? Our lineup of Eco mats are made of PVC minus the harmful materials. Users who may have allergies to rubber will find the mat most suitable. What are the types of mats available in most local hypermarkets and pharmacies? 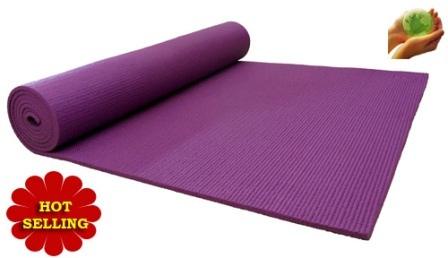 Most of the Yoga mats sold are made of normal PVC or EVA materials which are notEco-Friendly. The mats contains more harmful materials and the mats are mostly filled with air which makes the mats thicker, but softer and lack of support when you actually use it. How are the mats packed? All our Eco Mats are brand new and its factory shrink wrapped. This ensures our mat reaches you in a good condition. Next Next post: Apakah kegunaan Reben Satin? ?